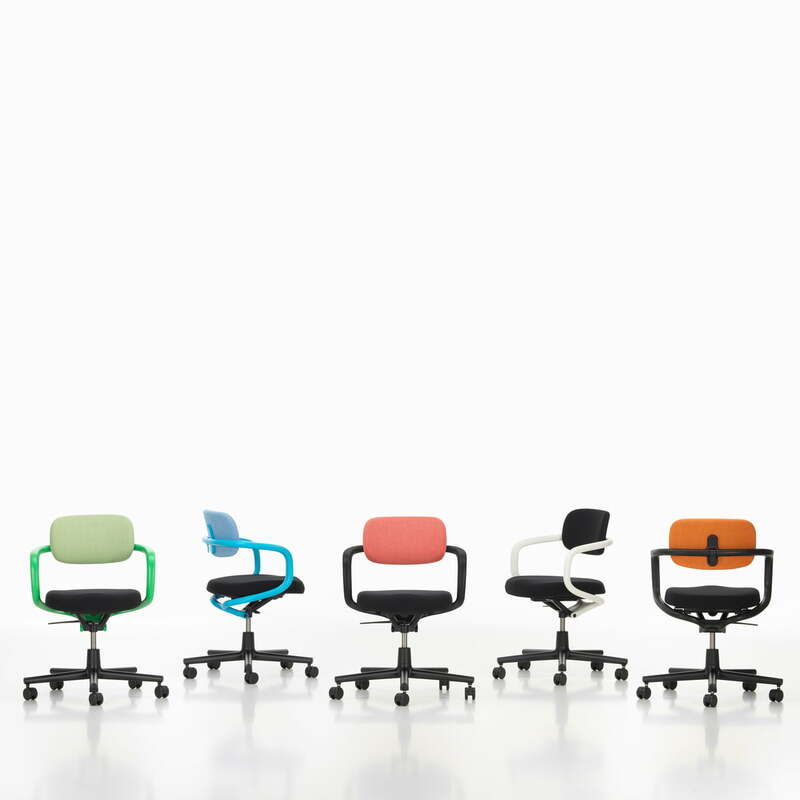 The Chair Allstar by Vitra is no classic office chair. 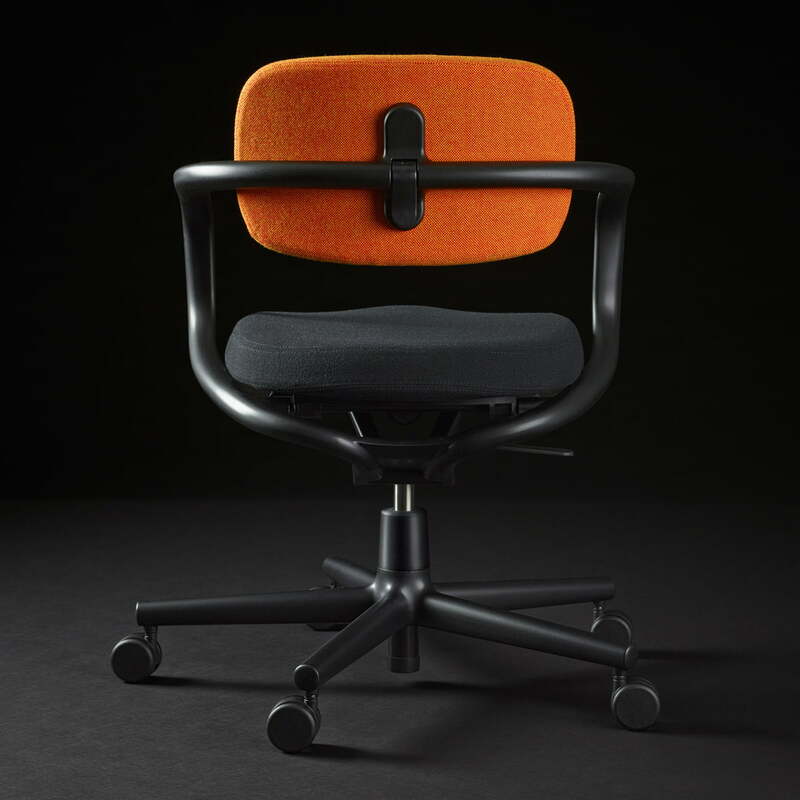 With its timeless, clear design the chair appears to already have been there for a long time, making it hard to assign it to another design style thanks to its extraordinary and at the same time familiar shape. This makes the chair likeable and creates a certain degree of security and peace, that at work as well as at home slows down the hectic everyday working life. 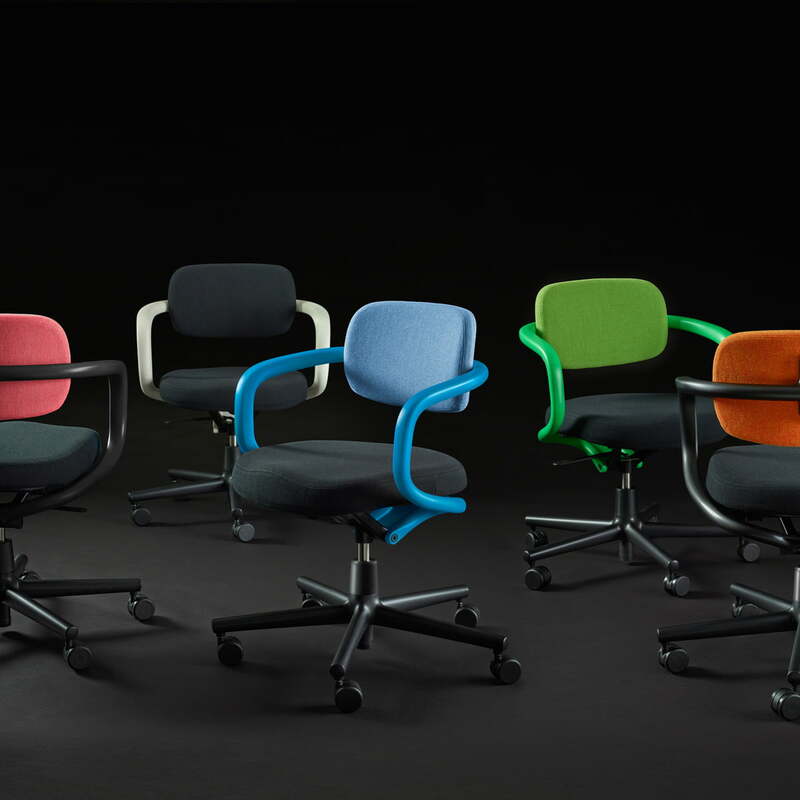 The Allstar emanates cosiness and comfort and at the same time is a modern and functional seating with a synchronised mechanism with lockable positioning, seat depth and height adjustment, and an adjustable backrest. 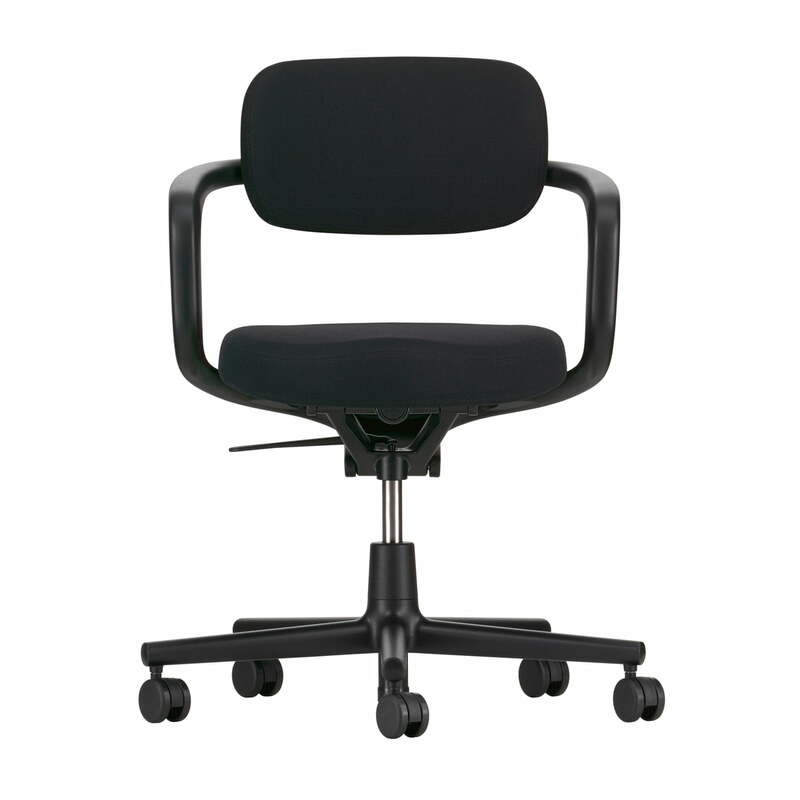 The central piece of the chair is the extremely stable loop frame that simultaneously performs the function of armrests, backrest support and extended arm of the mechanical unit. 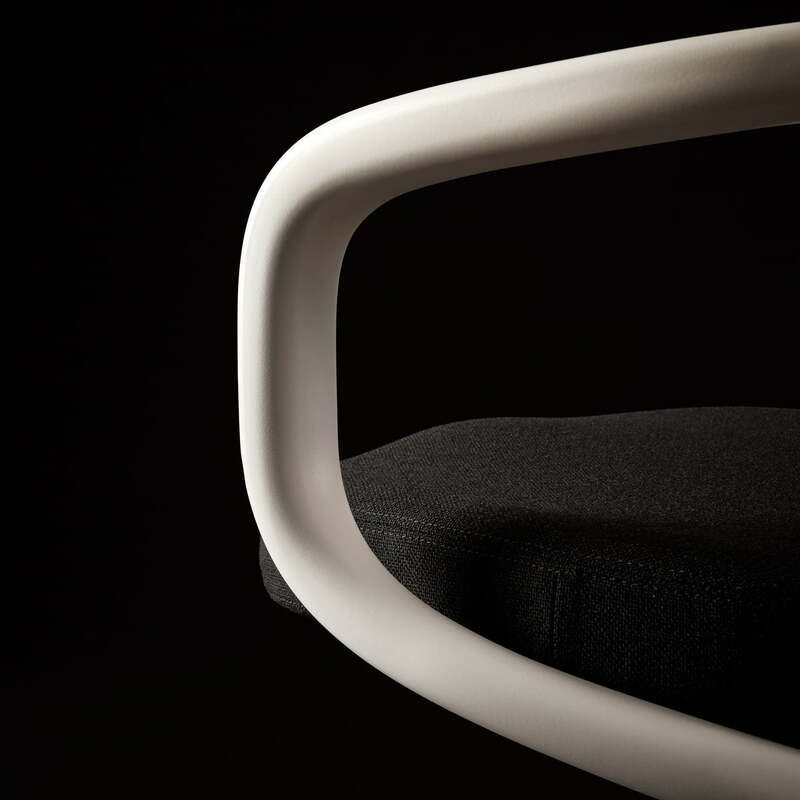 The handle allows the adjustment of backrest and seat, which guarantee optimal comfort thanks to its organic forms. 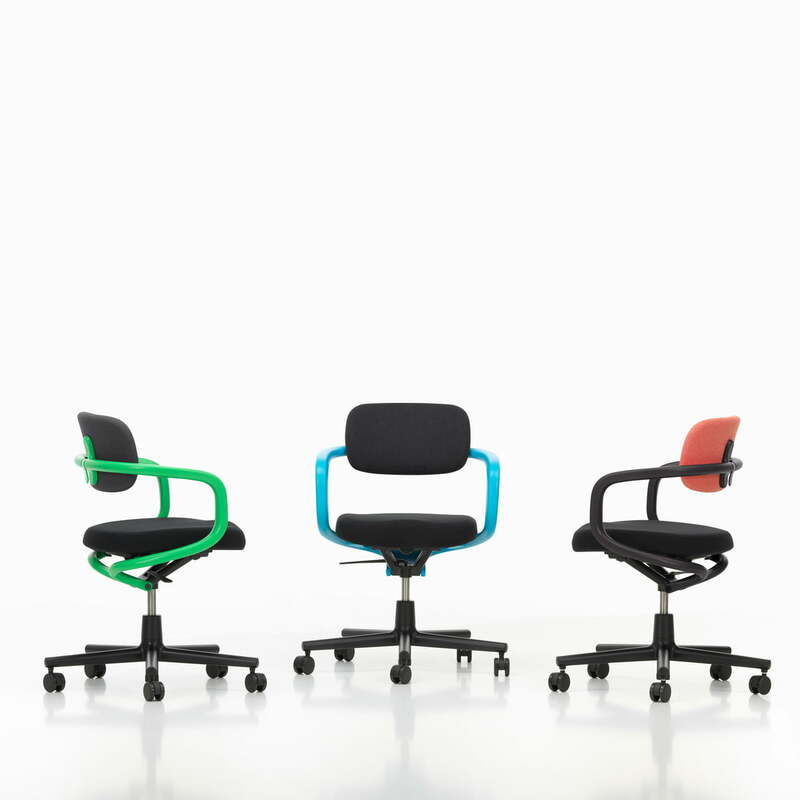 With the Allstar for Vitra, the German designer Konstantin Grcic created a seat that is functionally comfortable and of aesthetic quality. 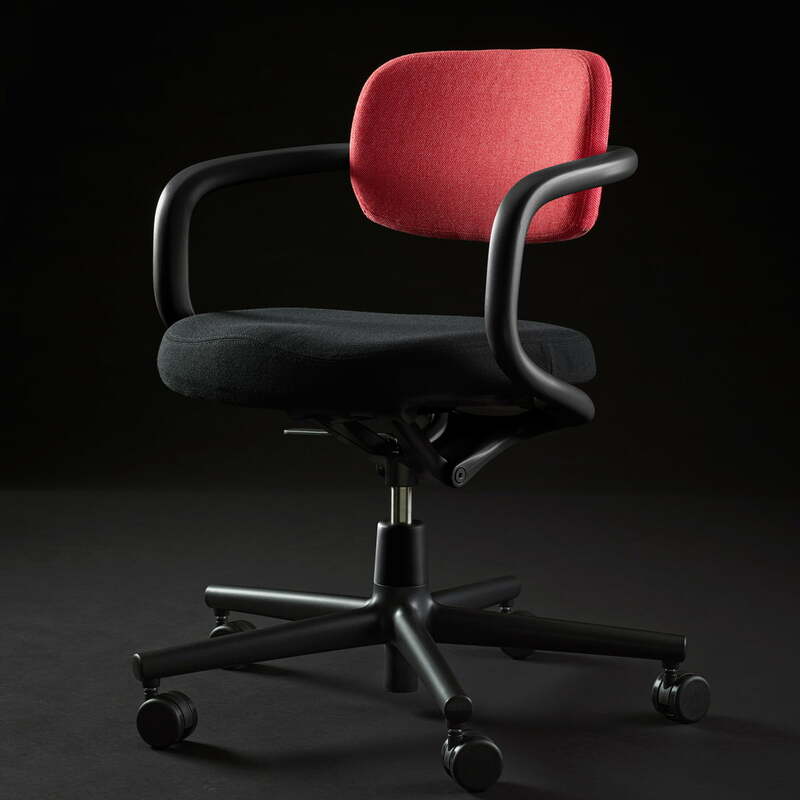 The Allstar will convince you with its properties of an office chair and creates a pleasant working atmosphere by its exceptional design. 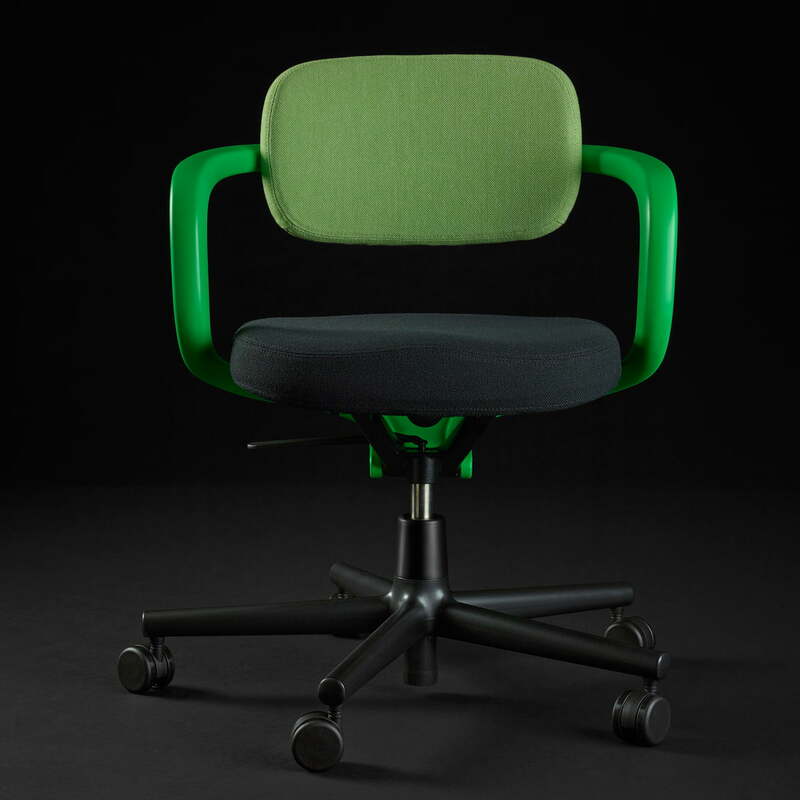 The chair is available in various colours, always having the frame and the seat cushion in black, while the curved arm and backrest respectively form a coordinated colour combination. 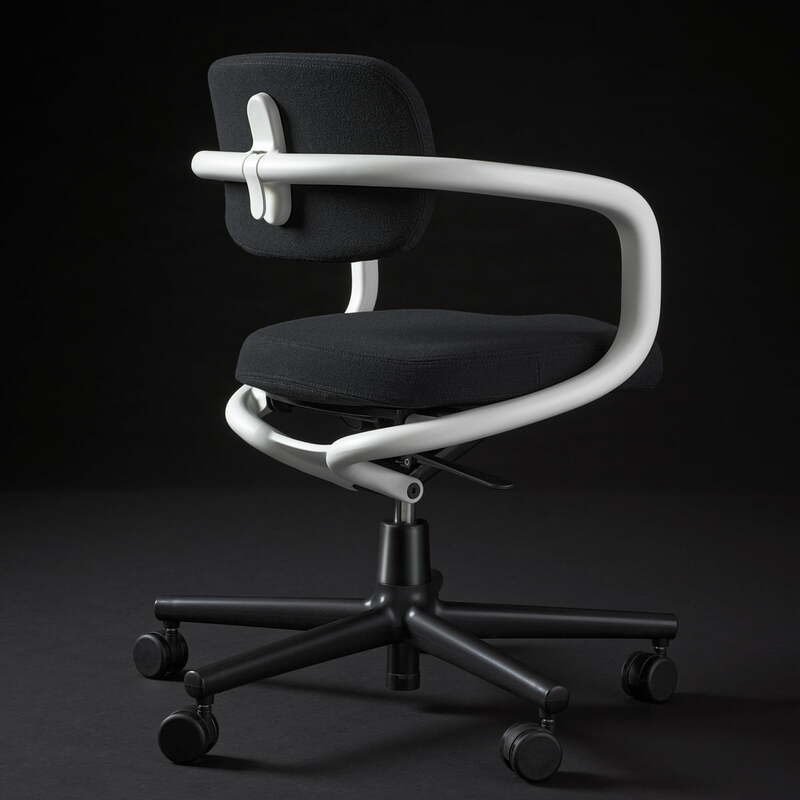 Details Mechanical unit: the synchronised mechanism can be locked in the upright position. 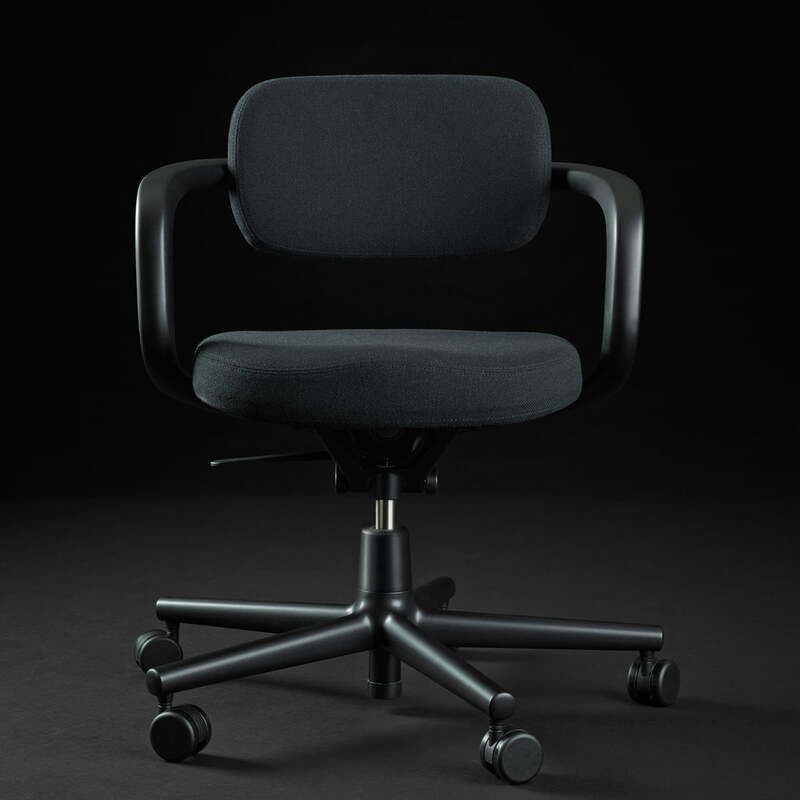 Equipped with seat height and seat depth adjustment as standard features. Base: Five-star base made of polyamide in deep black with castors (Ø 60 mm) in basic dark.